Make Up for Mature Women :: Massachusetts' Best! In my years of doing makeup, I’ve come across a lot of older women who are very skeptical about wearing a full face of makeup. 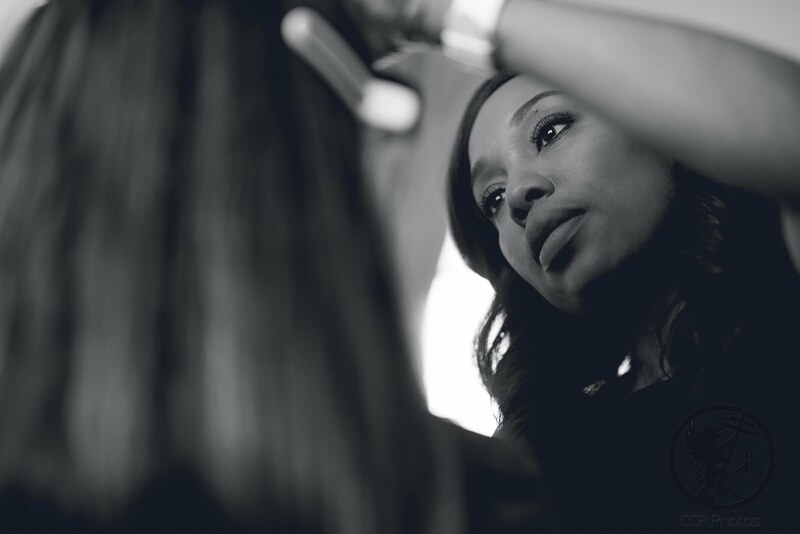 Some women are timid because they think that all makeup, including the application is "cakey", like it was many years ago. Of course makeup has evolved drastically over the years, so it is possible these days to make a big difference with little makeup. 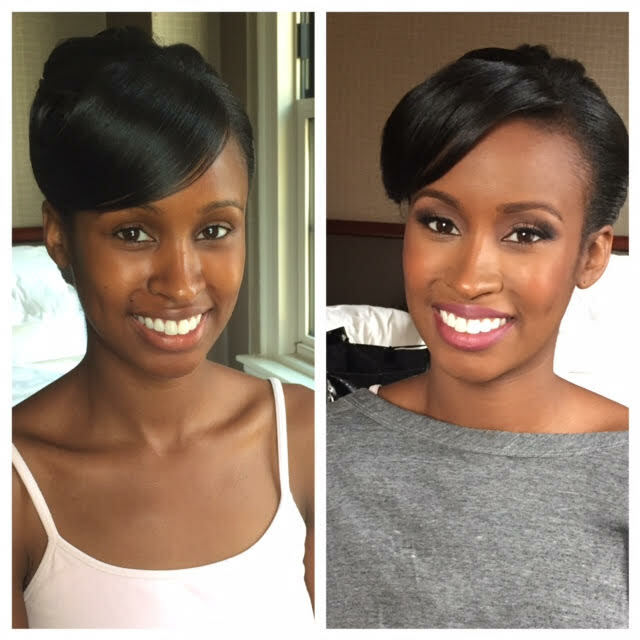 It's exciting to show how a little makeup can surely go a long way! Some women have never worn any makeup, so it’s very difficult to imagine themselves any different than they have been all their lives. 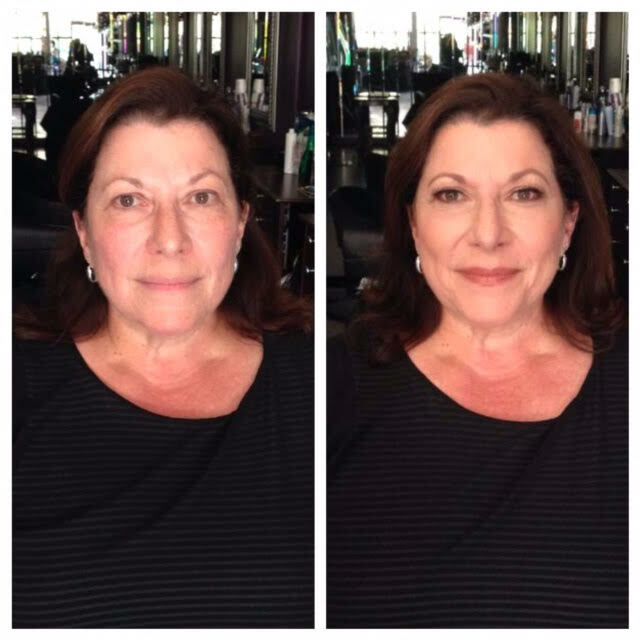 This is completely understandable, but it can be so fun to show them how I can enhance their look for an elegant event such as a wedding. 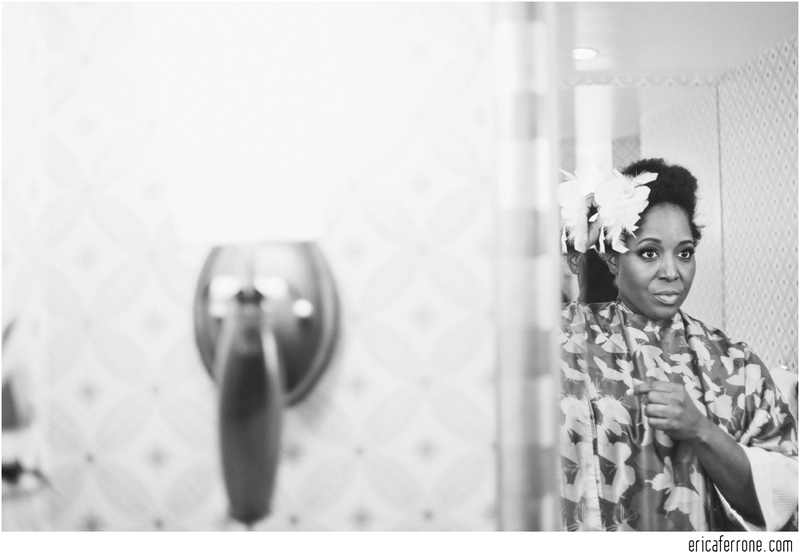 In order to build some trust when I have to work with older women, I sometimes have to spend a little time convincing them that makeup can be a very important detail for their children’s wedding, especially since they will be photographed so much! 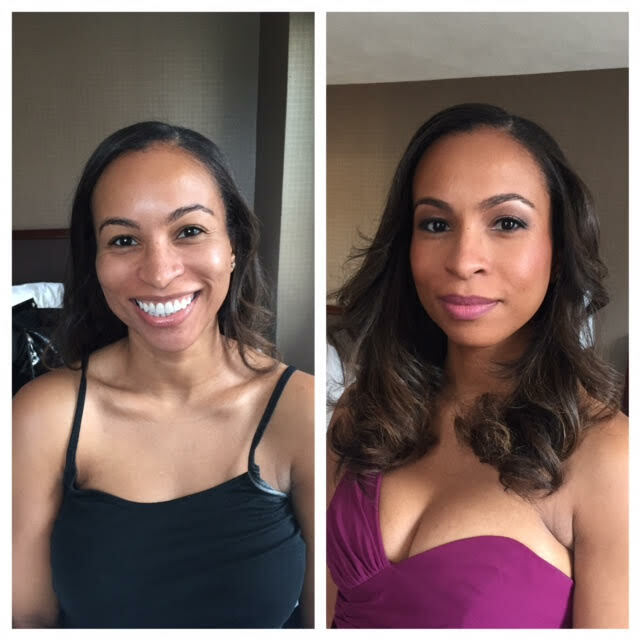 With a little explanation, and of course a makeup trial, I always make sure to build the trust that women need to feel confident and beautiful on the big day! New England's Best African American Makeup! 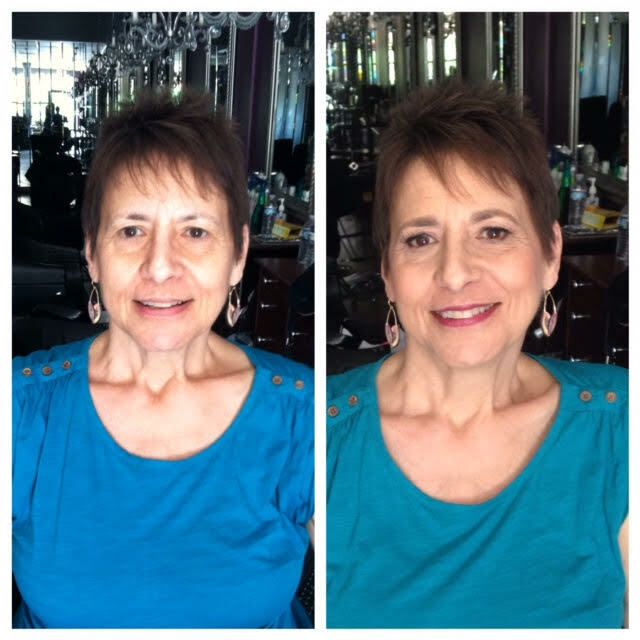 When she came in for her makeup trial, she told me that she was leaving everything up to me, and that she was open to trying a bright lip color. This was very exciting for me to create a special look for Nicole. 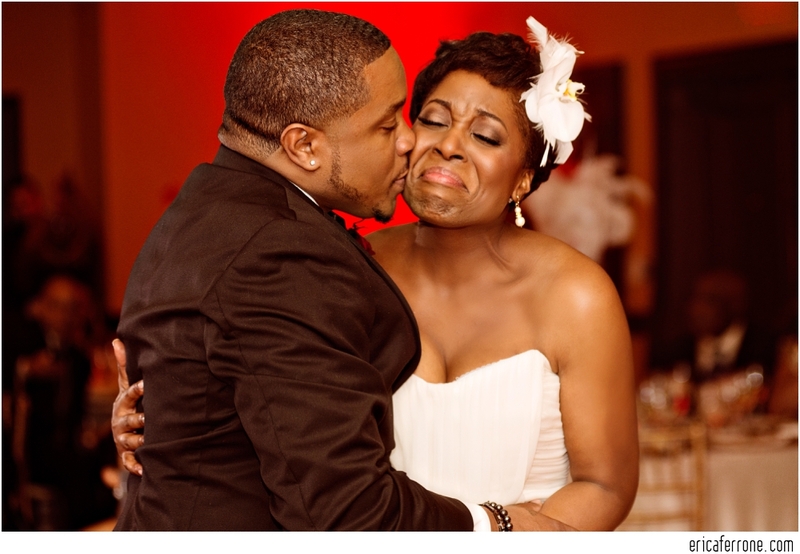 Her wedding was in the late afternoon/early evening, so I decided to give her a red lip, which can be very flattering on brown beauties. 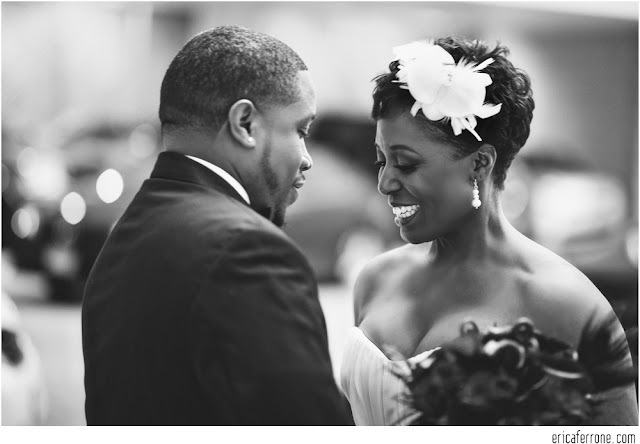 While most brides still opt for the natural look, a bold color is always an option that can be very flattering. I just love how Nicole’s photos looked in color, as well as in black and white. I was also part of Patrice’s wedding on August 15, 2015. 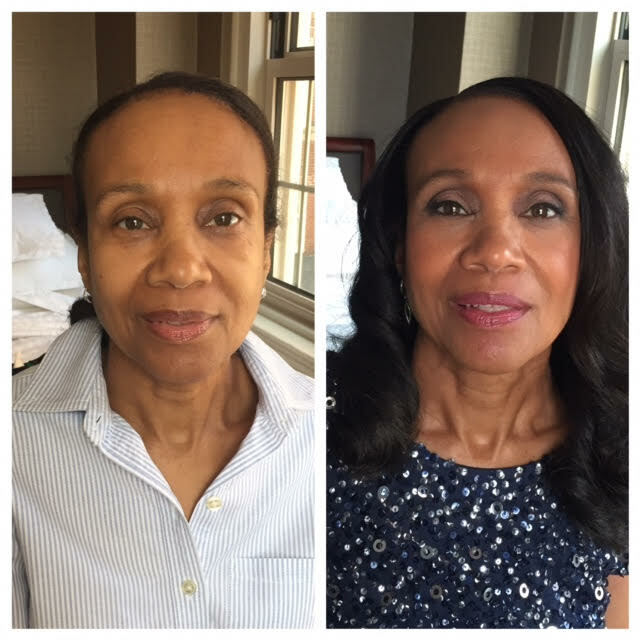 She was a conservative bride who also gave me the freedom to create a look for her, but she wanted to do a natural look. I love having the ability to create a look expressly unique to each bride. 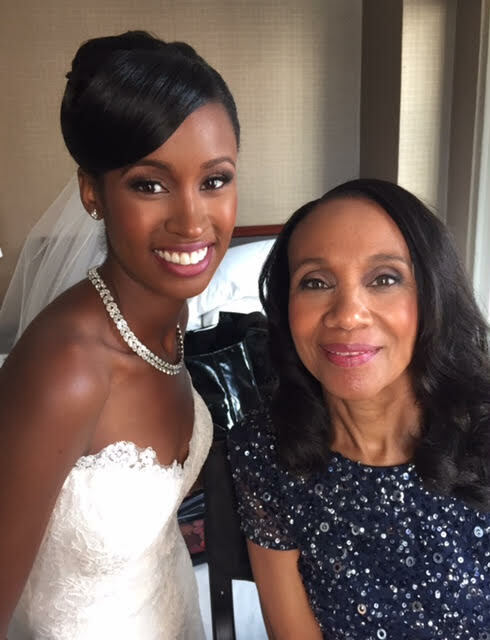 Both Patrice and her mom looked stunning! 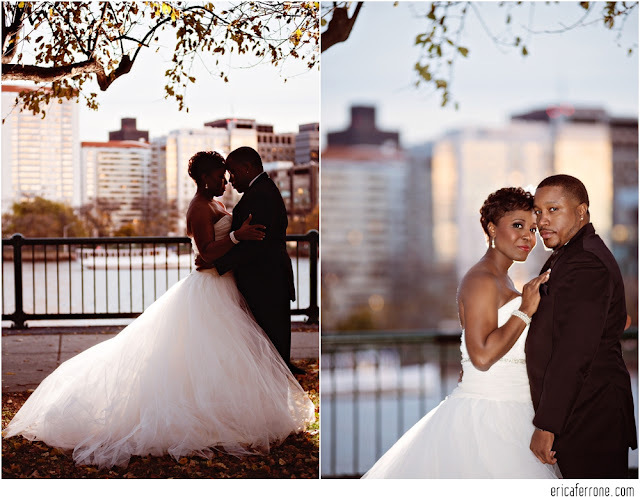 Such beautiful days for a beautiful weddings!